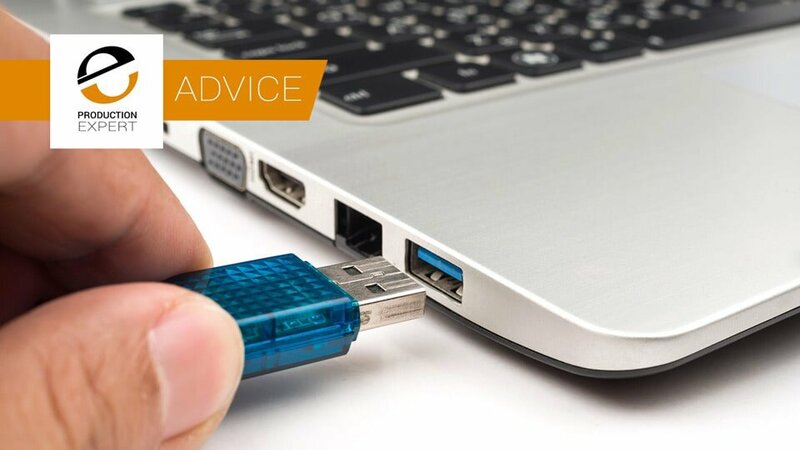 Production Expert | Is It Safe To Just Unplug USB Thumb Drives Or Not? 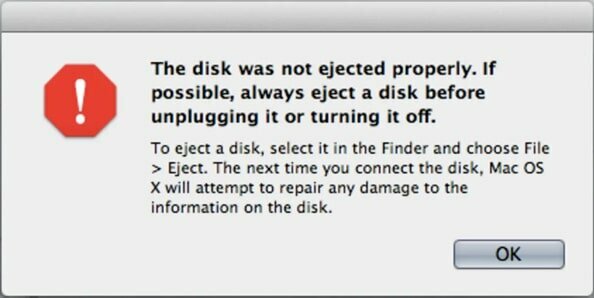 The default anecdotal answer as to whether it is safe to just unplug USB devices like thumb drives or flash drives is that its OK to simply pull them out of a Windows computer but you always should ‘eject‘ them first on a macOS computer but is that correct? In this article we investigate the correct answer and find that Windows 10 is about to change its default setting for removing USB flash drives. What you may not be aware of, whether you use Windows or macOS, is that when your computer is copying files to a USB thumb drive, is that when the OS reports that it has copied or written the data to the USB pen drive, it hasn’t actually done it. What it has done, is written the data to what is called a ‘write cache’. This ‘cache’ is just local memory storage that your computer can write to and get the job done quickly. Then your computer will finish the copying process in the background, actually writing the data onto the USB thumb drive itself. Better Performance - This uses the write cache and so is faster, but it reports the job is done before it is actually done and so there is a risk of data loss, if the data hasn’t been written to the drive when its pulled out of the socket. Quick Removal - This mode takes longer, because it doesn’t use write cache, but the OS doesn’t report that the job is done until it is actually done and you can safely pull the USB drive without having to spend time ejecting it. The macOS always uses the Write Cache, ie the Better Performance option, and so to make sure that the Write Cache has been emptied and copied on the drive, you need to Eject the drive, usually by dragging the drive icon to the Trash Can, or using the Eject icon in the drives list in a Finder window. It may seem to the new user that dragging a drive icon to the Trash will tell the computer to delete everything on the drive, but actually if you watch the trash can icon, you will see that as you drag a drive icon to it, the trash can icon changes to an Eject button. Only when the drive icon has gone from the Desktop, are you safe to pull out the USB thumb drive, as part of the Eject process or sometimes called Unmount, is to make sure that the Write Cache has been written to the USB flash drive before the OS ejects the drive and the icon disappears. On a Windows machine, you can decide whether Write Cache is enabled or not. so Quick Removal disables the Write Cache and Better Performance uses the Write Cache and until now the default mode is that the Write Cache is on, ie Better Performance. What this means is that all the time we thought it was OK to pull a USB thumb drive from a Windows computer, we were actually risking data loss, because the default option on Windows has been Better Performance, which uses Write Cache. So unless you have gone in and changed the default setting, Windows and Mac operate the same way, it’s just the Windows OS didn’t warn you after the event like the macOS does. If you have pulled out a USB drive and got away with it, maybe many times over, you may be thinking this is one of those theoretical problems that will never happen to me, I will be OK. Although data loss is rare it does happen. For example, I had a situation when I client called me saying that they could not get any data off one of their memory cards. They had plugged in the first card, to copy off the media files from a location recording and all was well. Then they swapped to the second card and nothing. As I was aware of this issue, I enquired as to exactly what the client had done. It turned out that he had not ejected the first card, he had simply pulled it out and plugged the second card in. I then asked what was on these cards and whether there were any backups? The reply was these cards contained location recordings from a trip to India and that there were no backups. At this point the client had realised that his error could prove very costly indeed, as half the material was gone. What had happened is that because he had swapped the cards without ejecting the first one, when he plugged in the second card, the OS had overwritten the drive directory of the second card with the directory of the first card, which meant the computer could not find the files on the second card because it was effectively looking for the 1st card’s files on a card that had the second card’s data on it. As there was no other alternative, I then used a disk repair application, to scan the second card and rebuild the directory with the details of the data that was still on the second card and so was able to ‘recover’ the data on the second card. One very relieved and happy client. But just in case you think this will always work, trust me, it won’t. On this occasion my client was fortunate to have contacted me immediately, other clients who have tried to fix it themselves have not been so fortunate and that is because data got overwritten rather than just directory files. Why I am telling you all this? It is because from Windows 10, version 1809, the default setting changed from Better Performance to Quick Removal. What this means is you can now remove USB devices like thumb drives, without using the Safely Remove Hardware process, which is in the Windows OS, but anecdotally people rarely seem to use, when it comes to flash cards and thumb drives. However, the downside of using Quick Removal is that it doesn’t use Write Cache and so the writing process to your devices will be slower. Microsoft actually changed this preference over back in October last year, when Microsoft started to roll out Windows 10 version 1809, so this may not be news to some of you. The reason that this seems to be making the headlines now is that Microsoft are actively notifying IT professionals that the change has been made. How Do I Change This In Windows 10? This is the advice from Microsoft. Look for the Safely Remove Hardware icon on the taskbar. If you don't see it, select Show hidden icons . Press and hold (or right-click) the icon and select the hardware you want to remove. If you can't find the Safely Remove Hardware icon, press and hold (or right-click) the taskbar and select Taskbar settings . Under Notification Area, choose Select which icons appear on the taskbar. Scroll to Windows Explorer: Safely Remove Hardware and Eject Media and turn it on. If this doesn't work, make sure the device has stopped all activity like copying or syncing files. Select Start > Settings > Devices. Select the device, and click Remove device. So there you have it. Windows 10 now plays it safe, but with the macOS you still need to be careful and always eject the drive. Even so our advice for Windows users would always to use the Safely Remove Hardware option, as you cannot be sure it is set to Quick Removal.